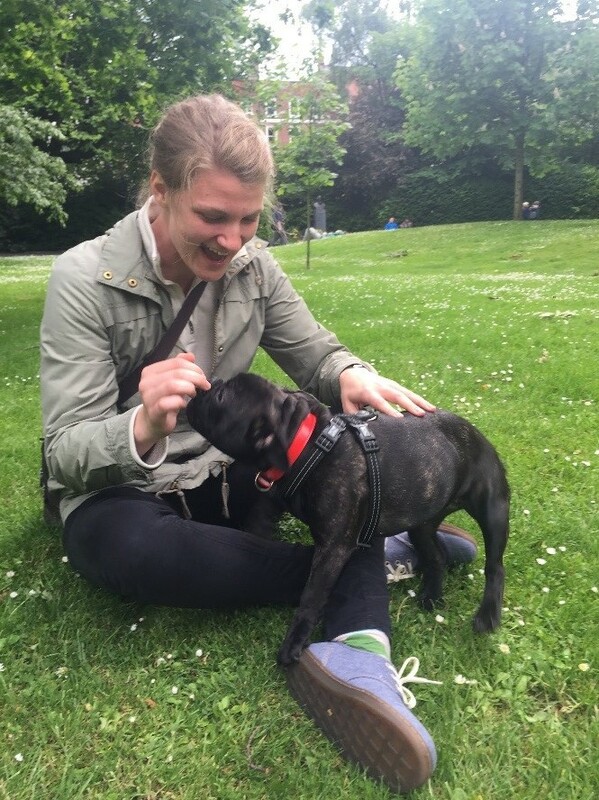 One of five recipients of the DMSAS Traveling Fellowship 2015, Maggie Holsinger traveled to the United Kingdom and Ireland before beginning her 10-week internship in our Washington, D.C. office. Before she heads back to Notre Dame to finish the final year of her undergraduate studies, we caught up with Maggie to talk about her travels and her experience at DMSAS thus far. Why did you choose your particular destinations? I spent three weeks exploring the United Kingdom and Ireland studying adaptive reuse. My study focused on buildings of both historical and architectural significance that have undergone radical changes in function. The UK and Ireland have a rich tradition of preservation and reuse of buildings, but have also undergone major urban changes and modernizations in the last few decades. The interplay between those two seemingly competing things made the area ripe for my research. Some fellows have done photographs, hand-sketches, watercolors, or even 3-D models of the buildings and spaces they’ve visited. What techniques did you use to document what you saw, and how do you think they helped you to understand the architecture? I talked! Asking people about their experiences with the buildings and neighborhoods yielded much more colorful and ultimately richer histories of the space than sketching or reading about the architecture alone. I got the best understanding of a place by spending time there, sketching major spaces, reading the history, taking photos, and speaking with people who use the building regularly. Luckily, nearly everywhere I visited had a café; many pleasant hours were spent drinking tea while gathering and creating all of the previously mentioned documentation. Dovecot Studios in Edinburgh was a really wonderful space. It’s a tapestry studio and art gallery that has been around since 1912 and recently moved into a trio of previously derelict Victorian Era buildings, including an old bathhouse, just south of the Royal Mile. 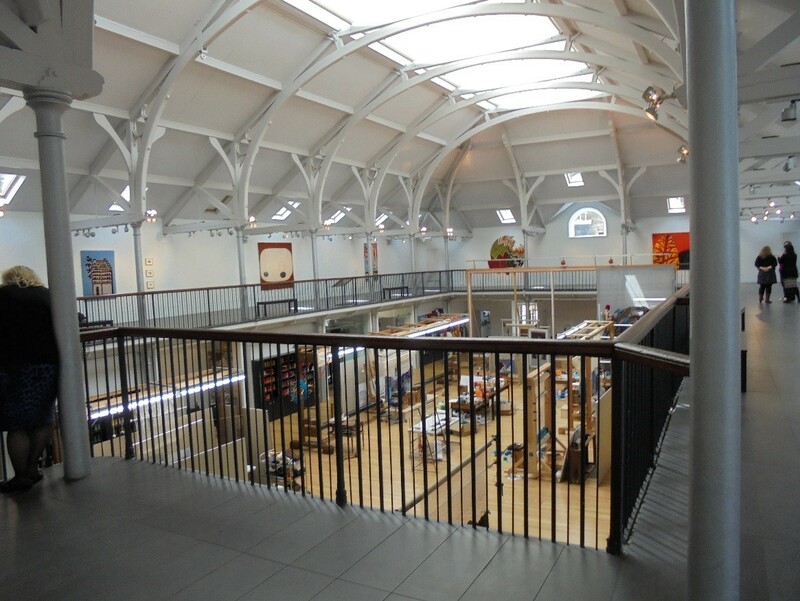 Dovecot is home to some of the best weavers across the region and is also used for special events and exhibitions. The main weaving floor is the former pool area of the bathhouse and is absolutely stunning. Just walking around it inspires creativity and collaboration. 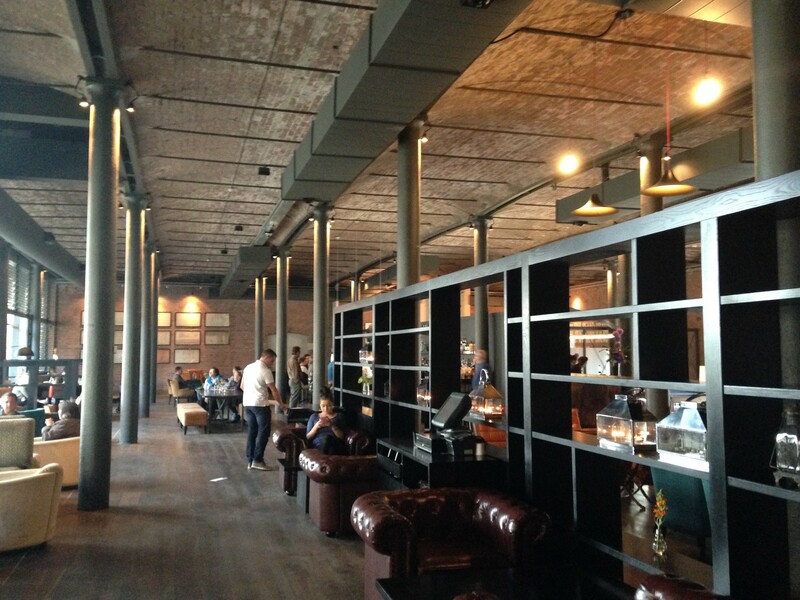 Albert Dock in Liverpool was amazing! It’s a collection of dock buildings and bridges built by Jesse Hartley in the 1840s to house goods and ships during the peak of Liverpool’s trade industry. The buildings were revolutionary at the time of their construction as they were essentially fire- and theft-proof. However, as the shipping trade changed, these buildings fell out of use and were even bombed and left unrepaired for decades following WWII. In the 1980s, their new life began when a developer partnered with The Tate, a private museum with a number of art galleries across Britain, to launch Tate Liverpool as the anchor of a new cultural quarter for the city. 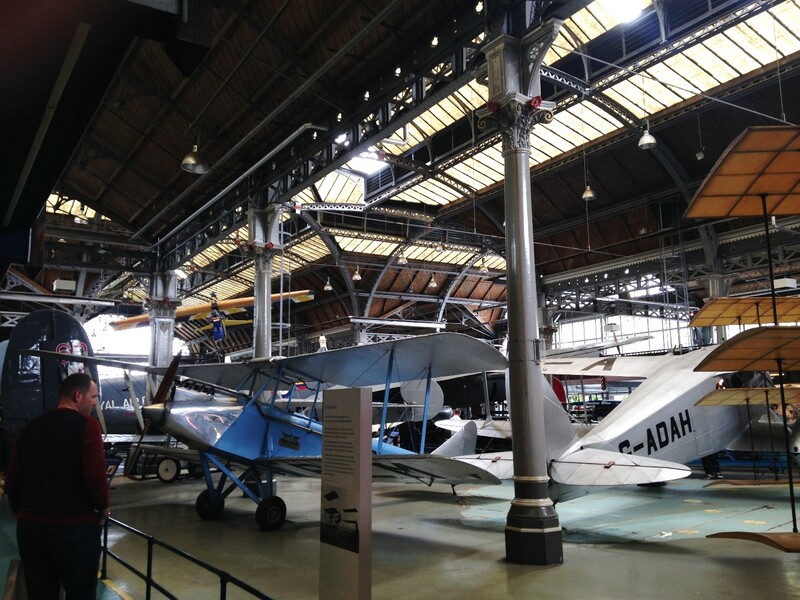 Today, the collection of buildings house three other museums, a collection of great restaurants, apartments, hotels, shops, casual cafes, and lots of happy people. It was fantastic to see such a successful outcome for an adaptive-reuse project. What story about your travels have you repeated the most? When I arrived I happened to be in Liverpool on the day of the “Three Queens Rendezvous.” Cunard Cruise Line has a strong presence in Liverpool. To celebrate the company’s 175th anniversary, their three huge ships all came to the city on the same day. 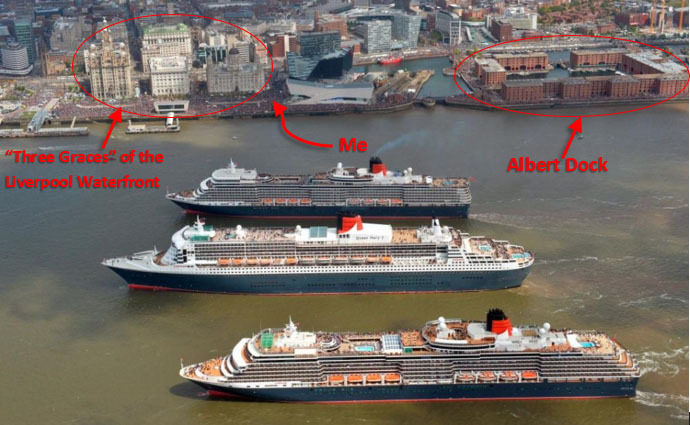 The Queen Mary 2, Queen Victoria, and Queen Elizabeth cruise ships came down the River Mersey and sailed in formation and performed what the news called “a water ballet.” An estimated 1.2 million people came to Liverpool that day to see the ships. I arrived in Liverpool the day before the big event and I was pleasantly surprised by how active the Merseyside/cultural center of the city was! There was music and happy people everywhere. I had no idea that the event was happening until I checked into my hostel and heard two women who had traveled day and night to be there talking about all of the coming day’s events. How has the fellowship influenced your professional development and career goals? The fellowship has strengthened my resolve to work with historic properties to create spaces to benefit the community and city as a whole. Seeing great examples of repurposed buildings gives me confidence that American industrial cities can adapt for a new economy while keeping and capitalizing on their historic building stock. What surprised you most about your experience working in an architecture firm? Projects are real! Going from school, where everything is so theoretical, to an office, where most things will one day be tangible, is such a refreshing change. It’s neat to see models of past projects around the office and then later see pictures of those same buildings fully built. A print of an amazing painting called The Liverpool Cityscape. The original was commissioned is 2008 when Liverpool was the European Capital of Culture. The painters looked at over 3,000 photos of the buildings of Liverpool, consulted with architects, historians, and locals, and logged 24,000 hours of painting to finish the 16-foot long aerial view of the city. It shows the huge diversity of Liverpool’s architecture and urbanism, and when I look at it I see something different every time. On an unscheduled afternoon in Edinburgh I decided to go to The Scotch Whisky Experience – and what an experience it was. People at the hostel described it as “Malt Whisky World”, and I think that’s an accurate description. The first part of the “experience” is a Disney World-style ride in which the ghost of a whisky maker guides your giant wooden barrel ride vehicle through the distilling process. The fun displays are topped off with all of the sounds and smells of the process. After the ride, guests enjoy a whisky tasting, tour the largest collection of Scotch in the world, and then, of course, end up in a bar that also serves as a gift shop. There’s a lot of research and preparation that goes into proposing the itinerary for travel, so fellows often already know a good bit about the places and buildings they’re visiting before they get there. What was one thing that completely surprised you? 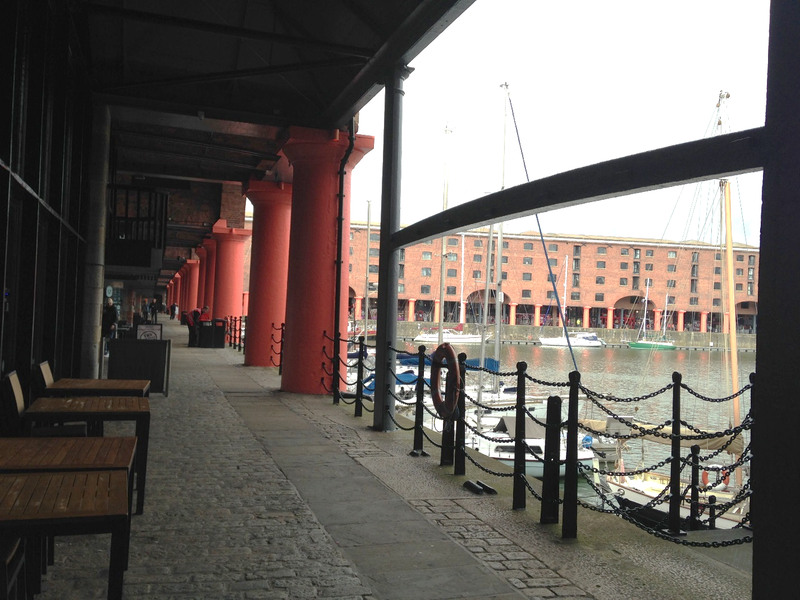 There is a second complex similar to Albert Dock in Liverpool! I saw an arrow on my map pointing up to Stanley Dock and decided to walk there. About an hour later I happened upon a beautiful hotel in an old dock building, nearly identical in structure to the ones of Albert Dock. The hotel has only been open a year and there’s a gigantic derelict warehouse across the slip that’s in the process of being restored and adapted. I’m curious to see how successful both ventures will be in the coming years. Where did you meet the nicest/happiest people? The people in Glasgow were so friendly! There were giant pink banners everywhere that said “People Make Glasgow”, and either it was a self-fulfilling prophecy or the people really were that kind. But as for the dogs, I met the most perfect bulldog in Dublin. If I could have taken her, she would definitely have been my favorite souvenir.